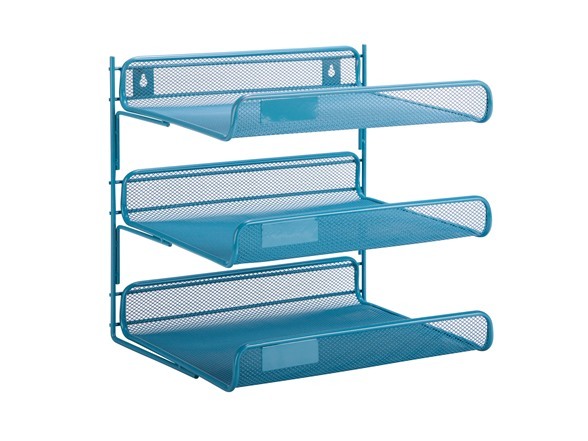 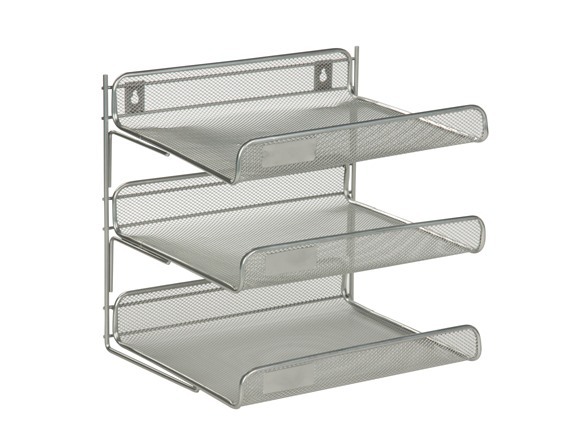 Honey-Can-Do 3-Tier Mesh Desk Organizer Keep your desk clutter free with this 3-tier organizer from Honey-Can-Do. 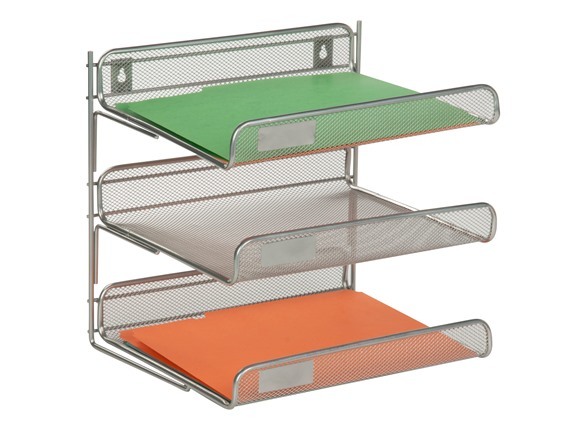 Each tier measures 13.25"L x 10.75"W, and at 12.5"H, the organizer offers plenty of space for sorting papers without overtaking your precious desk space. The organizer can also be wall mounted. Coordinating mesh office pieces are also available from Honey-Can-Do.